That most beneficiary parents are not capable of providing the same quality of care for their children as an Early Childhood Centre or Kindergarten. That affordable and quality childcare is accessible for all beneficiary families. That the circumstances of some children and families won't become considerably worse. That the management of the initiative can be done cost effectively and meets a basic cost/benefit analysis. That families will receive fair and reasonable treatment. That we have the capacity and level of trained teachers to cater for the influx of children. That all children between the ages of 3 and 6 (the age when children are legally required to attend school) will benefit from having at least 15 hours a week away from their parents. That there will be jobs available for beneficiaries to access while their children are in care and to help pay for that care (while the 20 hours free care exists there are often extra costs involved). From my own experience as a parent, we had one child who benefited hugely from attending our local kindergarten and another child for whom the same kindergarten was not a positive experience and for that child the best option was to be at home (the same child thrived in school). While I realize that our children have two, well educated parents and we have a good income, is it not possible that some beneficiary parents may also be the best caregiver for their child before the age of 5 or six? While parents on benefits are getting the hard word to step up and be responsible, polluting business are getting the opposite message. Rather than taking responsibility for their climate changing emissions and getting a financial incentive to change their behaviour they will find that their own benefits will continue. According to Dr Jan Wright "Without a direct cost, there will be no transition to a low carbon economy, smooth or otherwise. 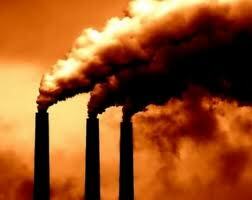 Major polluters will still be paying for just 5% of their emissions in 2050." The government has calculated that the taxpayer cost of the subsidies to be around $330 million a year but Wright has warned that the volatile nature of the carbon price could mean a cost of over a billion a year (based on last year's price of $19 a tone). Russel Norman has revealed that the Government's own cabinet paper predicted that up to 2,200 parents will have their benefits cut in the first year. Bill English, to his credit, did not appear comfortable in his attempt to defend the suffering (on behalf of the prime Minister) that will inevitably be passed on to the children in those families. Note that Bill English did not attempt to give a direct answer to the question regarding the morality or ethics behind the policy. It is obvious the policy is more to do with cutting the costs of benefits rather than helping children. Dr Russel Norman: Has he seen the Cabinet paper on the social obligations for parents policy that states that 2,200 parents will have their benefits cut in the first year, and how does that help their children reach their full potential? Hon BILL ENGLISH: I understand that that is not actually what the Cabinet paper says. But I think that parents’ knowledge of those obligations means they are likely to comply with them, precisely so that they do not put the welfare of their children at risk. In fact, if they meet those obligations, it will be positive for their children. Dr Russel Norman: I seek leave to table the Cabinet paper that shows that 2,200 parents will have their benefits cut in the first year. Mr SPEAKER: Leave is sought to table that document. Is there any objection? There is no objection. Dr Russel Norman: Given that the Cabinet paper specifies that only “the most disadvantaged and vulnerable beneficiary families will be tested for complying with the regime”, what will happen to their kids once their parents’ income is slashed? Dr Russel Norman: Given that the Cabinet paper itself admits that around 2,200 parents will not comply with the obligations and hence will have their benefit cut, is it really moral for the Government to punish children for the perceived sins of their parents? Dr Russel Norman: Given that the Cabinet paper itself says that around 2,200 parents will not meet the requirements of this policy and will hence have their incomes slashed by the Government, does he take responsibility for the fact that the children of those parents will go hungry because his Government will cut their income by 50 percent? Dr Russel Norman: Given that his earlier answers acknowledged that there will be some parents—possibly up to 2,200—who will have their benefit cut as a result of this policy, how can it possibly be ethically acceptable to punish the children of those parents because the Government does not like the actions of those parents? Hon BILL ENGLISH: The point of the policy is to ensure that the parents take actions that are consistent with better prospects for their children in the first place and that, secondly, they meet their obligations to the broader community, which is offering support for that family. The Government is planning to introduce sanctions, as the member has pointed out. Those are fairly robust sanctions and the relevant department would ensure that every option is given to the parents to enable them to meet their obligation in the first place. (Given the past record of this Government, and ACC especially, there is generally greater enthusiasm for not paying a benefit and a history of understaffing the departments responsible for managing the policy). N.B. ...graduated sanctions could apply... Operative word "could". Sorry about pasting so much of Paula Bennett's release, but I think your concerns are largely answered therein. Not to your satisfaction I imagine, but less black and white than you have portrayed. I'm sorry, Anonymous, most of my questions and concerns weren't answered. There is still the assumption that all children under five will benefit from attending 15 hours of childcare a week and that there is the capacity to manage this in a fair and caring way. The fact that it should only apply to beneficiaries and not to all families receiving financial support is also a concern. What about the working poor who receive Working for Families assistance? What is claimed and what is delivered are often two different things as many who have suffered under the management of ACC and Housing New Zealand could tell you. The government is closing down residential schools for high needs children and has claimed these children will receive "wrap around" support in their local school and yet the funding and resourcing to enable this hasn't appeared. Our Special Education staff are overloaded and suffering from cuts in funding instead. I hope your confidence in the government is justified , but based on their track record, I have my doubts. The intent of the post was also to show that the government supports financial incentives to change behaviour in one situation and rejects it in another.